Holiday in Black Forrest in Germany is always great. Having the apartment at Müller family house it gave us the pleasure of enjoying a nice and relaxed holiday . The apartment was very spacious , very clean and had a great kitchen with all needed appliances. Comfy beds , good bathroom. Mr and Mrs Müller were great hosts , have kindly given us cherries to eat from their garden few times and also a home made drink on our departure. It was great that we could use the washing machine and the kitchen had dishwasher. Mrs Müller also provided for us clean bath and kitchen towels . We had a great terrace with fantastic views where we had our meals . Despite of not talking a word of english they were so lovely and kind. Overall a great holiday in a great location with great hosts. Thank you so much Herr und Frau Müller. We spent two lovely weeks in this wonderful, immaculate apartment and enjoyed every moment of it. Rosel, August and family were so friendly and welcoming that despite not speaking a word of German we felt at home immediately. Their home made schnapps and liquors are amazing! The apartment is exceptionally clean and well equipped and also has lots of storage space. It has the most amazing views of the surrounding countryside and with the forest right on the doorstep you couldn't ask for a better location. The free Konus card is a real bonus, we ended up using the trains a lot more than the car. With many pretty small towns (Gengenbach was my favourite) to visit and varied routed walks, as well as lovely cafes and restaurants the area has much to offer whilst remaining unspoilt. 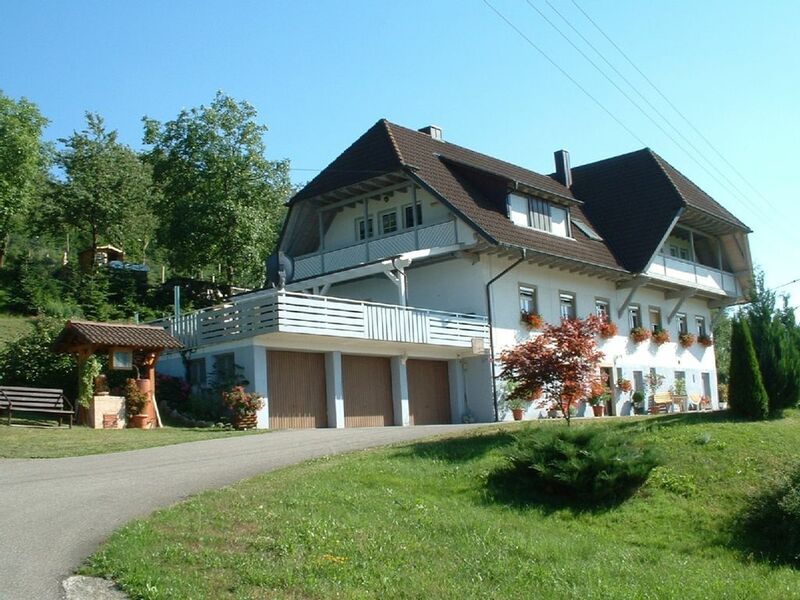 We will definitely use this apartment again when we re-visit the Black Forest.